Why Should I Choose Cold Stop Insulated Curtains? Why Should I Choose Cold Stop Insulated Curtains? Cold Stop Insulated Curtains may have been several years in the making; however, they are now accepted as one of the most effective products on the market – particularly within the food manufacturing, food processing, and supermarket sector. When it comes to chilled and frozen products, we understand, keeping your products at the optimal temperature is at the top of your priority list and it is important to find a cold storage solution that is effective, reliable, and financially sustainable. This is why Cold Stop Insulated Curtains have become such a popular choice. They demonstrate a number of useful advantages, they tick all of the boxes outlined above, and they could be exactly what your business needs. Here we take a look at some of the main reasons why. Designed and created by thermal protection experts, Seymour Manufacturing International (SMI), Cold Stop Insulated Curtains stand at the very forefront of innovation. This is a company renowned for their revolutionary products; products which have proved to save energy and money for some of the world’s biggest and well-known companies – and this product is certainly no exception. Cold Stop Insulated Curtains are believed to have a thermal value that is at least 10 times greater than that of traditional PVC Strip Curtains. They are incredibly effective at keeping cold air in and warm air out and when tested with sensitive thermal imaging equipment, their outside temperature has been shown to register at +10°C whilst the inside surface was maintained at -21°C. Thanks to this efficacy, you can not only rest assured that products will be continuously kept at their optimal temperature, but you can also expect significant savings in terms of both energy usage and cost. Although constructed from hard-wearing and durable material, Cold Stop Insulated Curtains are incredibly low maintenance and easy to use. Sliding Cold Stop Insulated Curtains can even be moved to one side, making them a viable and fuss-free option for when traffic levels are high. They offer a level of convenience that is unparalleled by other products and, thanks to their user-friendly operation, they have been shown to significantly reduce operator frustration and subsequent tampering. 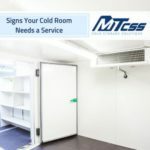 It is very difficult for them to be damaged or removed by staff and they offer the peace of mind that, once installed, your energy-saving cold storage system will always stay in place. Cold Stop Insulated Curtains are often fitted with innovative and fully-transparent Bio Gard windows, thus maximising visibility. 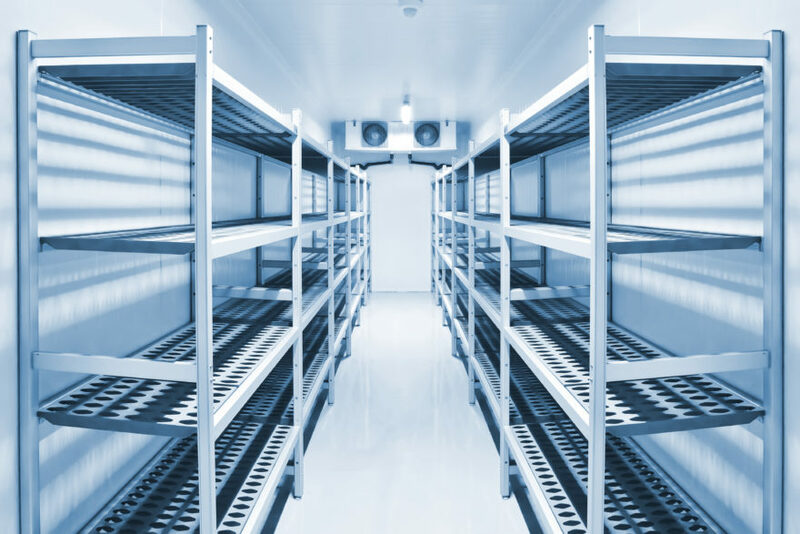 They allow workers to see clearly through to the other side and encourage both awareness and communication in the workplace; however, thanks to their specialist construction, you can rest assured they will not compromise your cold room’s cleanliness and hygiene levels. Bio Gard windows are enriched with Steri-Touch and independently tested to world standards. They are proven to stop the spread of 99.99% of all germs and bacteria and they are a highly beneficial and popular feature of Cold Stop® Insulated Curtains. Insulated curtains could be constructed from the best insulating material on the planet, but if they’re not fitted properly, they’re unlikely to do a very good job. This is why Cold Stop Insulated Curtains are fitted with a revolutionary “cold lock system”. 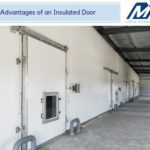 They fit snugly into the doorway or entrance, creating a tight seal against the floor and ceiling and leaving no space for cold air to escape or warm air to enter. 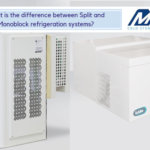 Such a system helps to maximise the overall efficiency and efficacy of the insulated curtains and ultimately preserves the internal temperature of the chiller or freezer. Thanks to their revolutionary construction and highly desirable properties, Cold Stop Insulated Curtains are suitable for a wide range of applications and they currently come in a variety of standard sizes to suit your individual needs and requirements. They have a very durable finish and field studies have recently revealed they last approximately 5-6 times longer than comparative PVC strip designs. As a worthwhile investment, it is little wonder that Cold Stop Insulated Curtains are becoming an increasingly popular choice – used in a broad spectrum of different industries and sectors, from warehousing and logistics to agriculture, horticulture, and food and drink retail. If you would like further information on Cold Stop Insulated Curtains and how they could be the answer to your cold storage problems, please feel free to get in touch at any time. 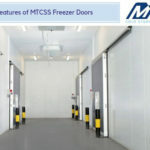 MTCSS is one of the UK’s leading providers of cold storage solutions and, collectively, our team of staff demonstrate over 50 years’ experience in the cold storage industry. 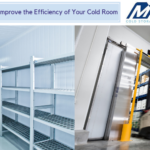 We pride ourselves on our strong knowledge and understanding and, dependent upon your needs, we can offer expert advice and guidance on any aspect of cold storage – including, of course, Cold Stop Insulated Curtains. In comparison to other types of insulated curtains, it’s clear to see that Cold Stop Insulated Curtains have a number of additional and desirable properties. They may not be suitable for everyone and you should always do your research before investing in a new cold storage solution; however, these insulated curtains are now an incredibly popular choice in a wide spectrum of different sectors. So why not give us a call today on 01886 833381 or drop us a message using the online contact form. We are happy to answer any questions you may have and we’re always on hand to calculate a quote. Which Type of Insulated Curtains Should I Use?